Crazy Holiday Sweater Winners Announced! 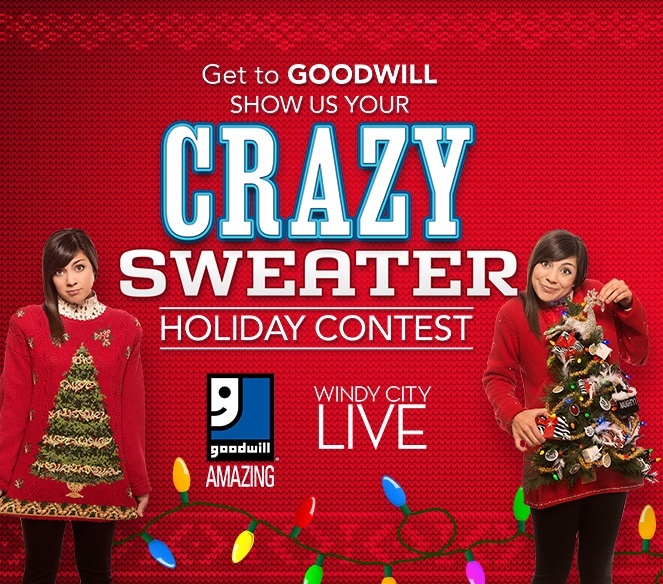 Windy City Live has revealed the winners of the Goodwill Crazy Sweater Holiday Contest! Goodwill appeared on Chicago’s Windy City Live show on Wednesday, August 28th. Our very own Fashion Expert Bjorn was on-set to show off the trendy styles that he selected for each model. From kindergarten to college, the trends for all age groups walked the cat walk. Keep a look out for familiar faces in the video below … the featured models are employees and family members from our very own Des Plaines store!